An award-winning artist’s home in Swanage, which has been scheduled to be featured in the Sunday Times under the title ‘When a House Becomes Art', will be open for public viewing during two Open Days in January to raise funds for environmental charity No More Dodos. Swanage based writer, poet, lyricist, Saatchi shortlisted artist, film maker and award winning photographer Geoff Francis has provided the overall vision for updating his Edwardian town-house, to which his wife and manager Jaclyn then contributed. The 5 bedroom house is the place which Geoff feels has allowed him the most complete expression of himself as an artist. He is particularly fond of the Mondrian-inspired garden cloakroom. It is both quirky, functional ... and a haven for the man in the family. So many people have said how fascinated they are by Geoff's art, his take on interior design, and by these unique Edwardian town houses, that Geoff and Jaclyn are holding an Open House on Saturday 16th January and Sunday 17th January 2016 11am-3pm in aid of the conservation charity No More Dodos. There is a suggested minimum donation of £3 to No More Dodos to view the house and art, plus a complimentary glass of wine. Visitors love what Geoff has done, and spend as much time examining the art and furniture as the house. There is no such thing as a short visit! Many of the items will be for sale, with proceeds going towards No More Dodos. As a matter of interest, the house itself is also for sale (for details see Rightmove). Geoff has had a long term commitment to environmental and animal causes. In 1972 he set up and ran Friends of the Earth's first paper recycling scheme. In the 80's he founded the Animaline charity for Linda McCartney, Carla Lane and Rita Tushingham. In the 90's he helped establish Hillside Animal Sanctuary, which has gone on to become the largest in the country. Now Geoff, Harley Street psychotherapist Jaclyn, and Dr Peter Finlay, scientist and computer forensic expert, have set up their own environmental charity called No More Dodos, with the aim of raising awareness of threatened species and habitats, and encouraging people to take practical steps to help. 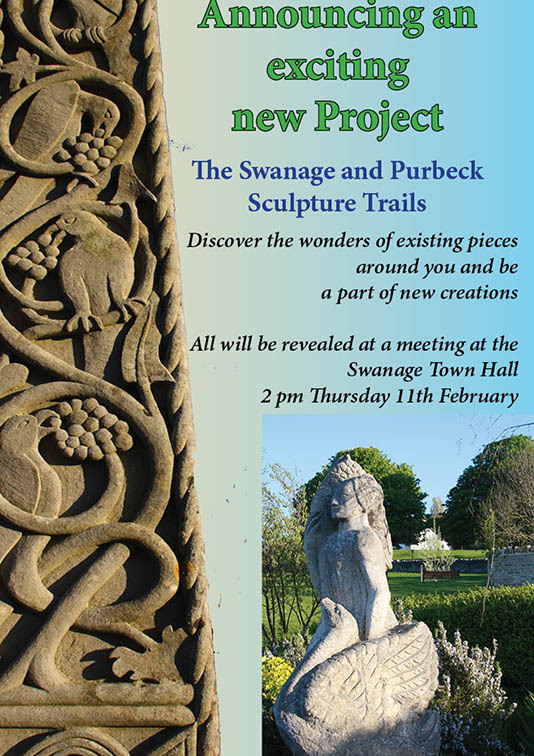 OPEN DAY 243 High Street, Swanage BH19 2NG 16-17th January 2016 11am-3pm.